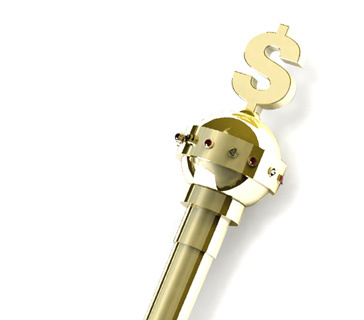 What does it mean to be "counterfeited" in the game of poker? 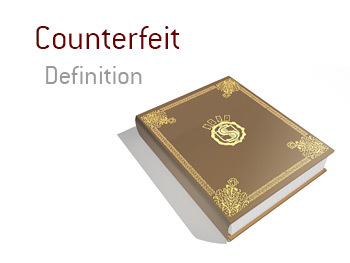 What is the definition of the term "counterfeited" in poker? In poker, being "counterfeited" means that your hand has been made to be practically worthless thanks to two pairs appearing on the board. For instance - let's say that you are holding 5-6 of hearts. The board brings 5-A-A, giving you Aces and Fives. If nobody else is holding an Ace, there is a chance that you are ahead in the hand. Thanks to the two Kings that have been dealt, your pair of Fives has now been "counterfeited". The board now has two pair, Aces and Kings, counterfeiting your Aces and Fives. So, if somebody else in the hand is holding something like Q-J, they would now be ahead of you in the hand (their Queen would play, giving them Aces and Kings with a Queen kicker). Unless you can bet your opponents off of their hands, there is no chance that you will win the hand - not unless, of course, somebody is holding something like 2-4.